Beautifully crafted in a flowing figure of 8 design, these elegant 9ct gold drop earrings are set with delicately sparkling diamonds for a touch of indulgence. An utterly sophisticated accessory for the modern woman. 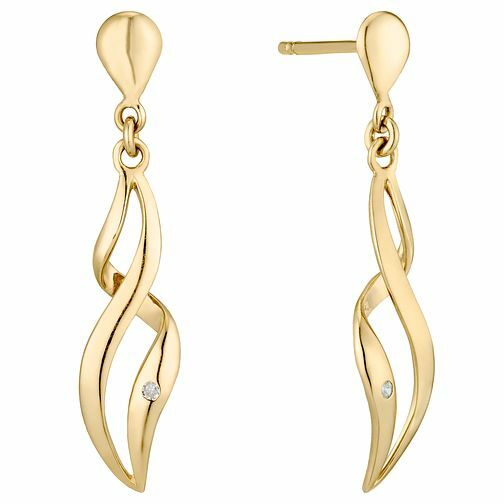 9ct Gold Diamond Set Figure Of 8 Drop Earrings is rated 2.8 out of 5 by 5.